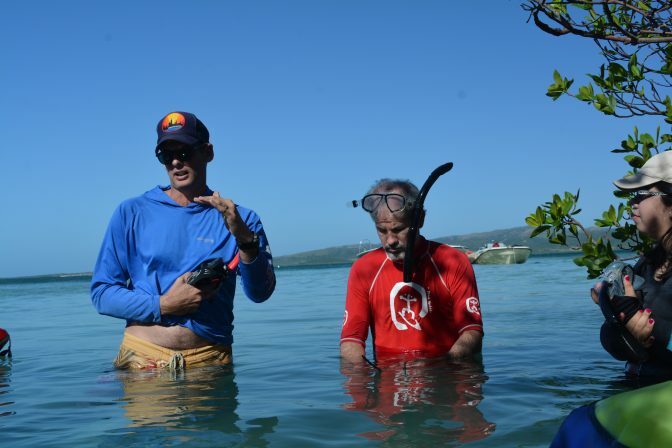 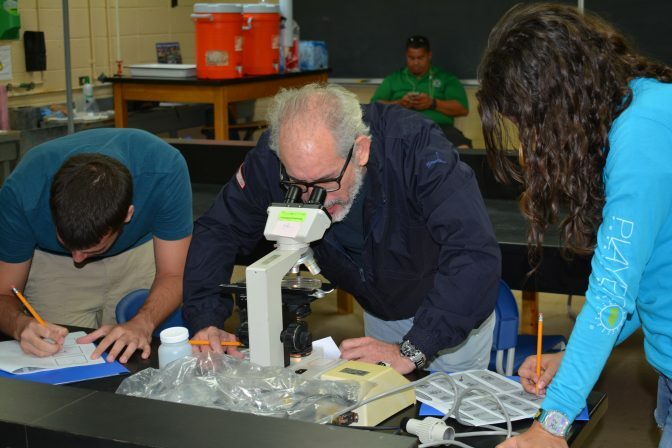 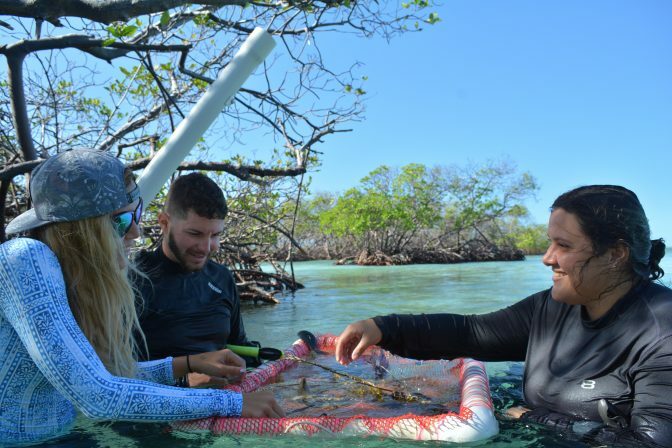 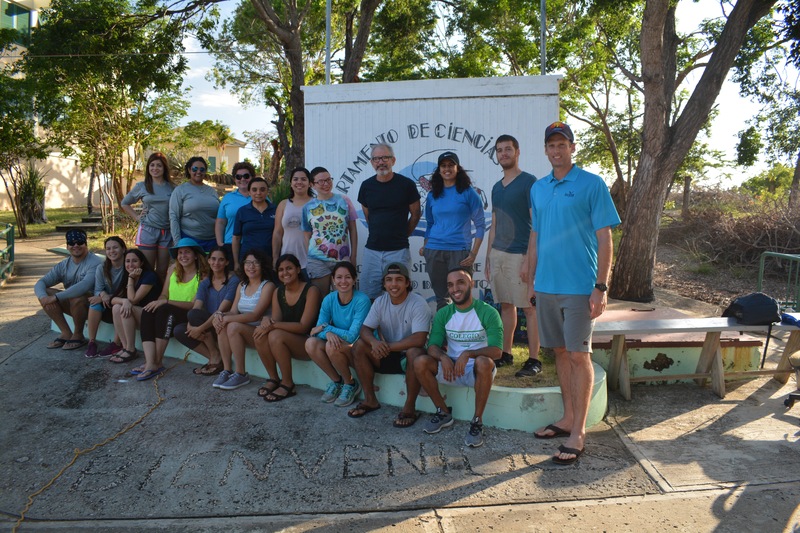 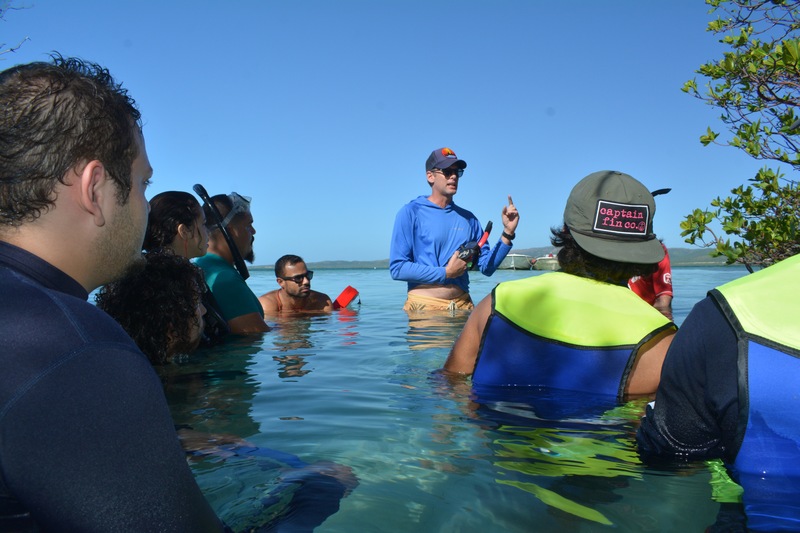 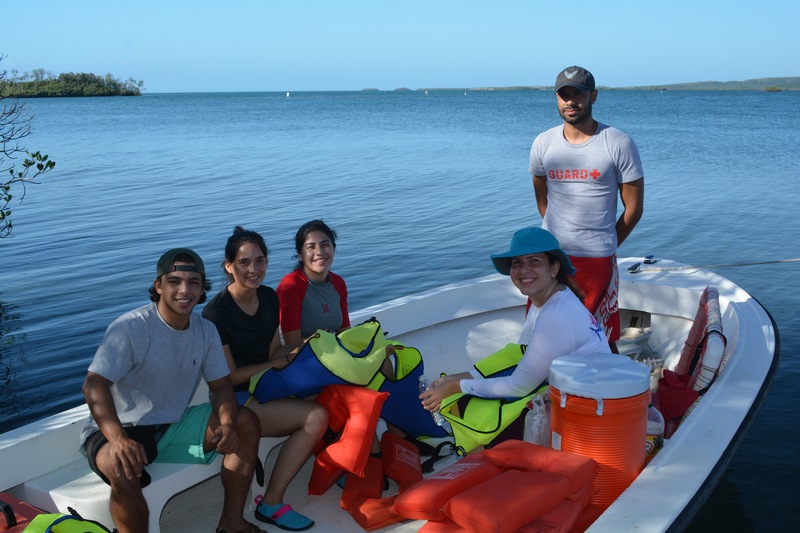 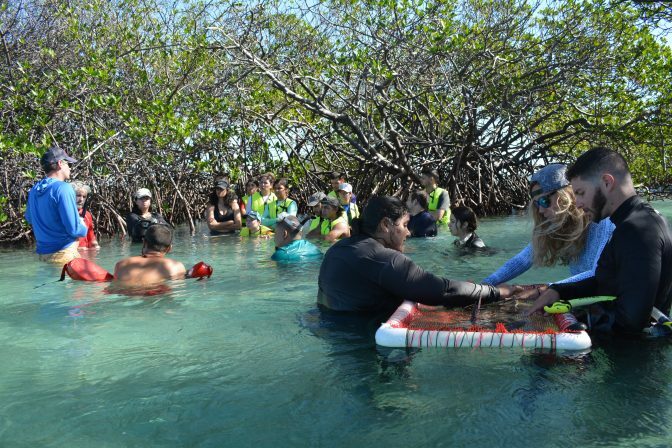 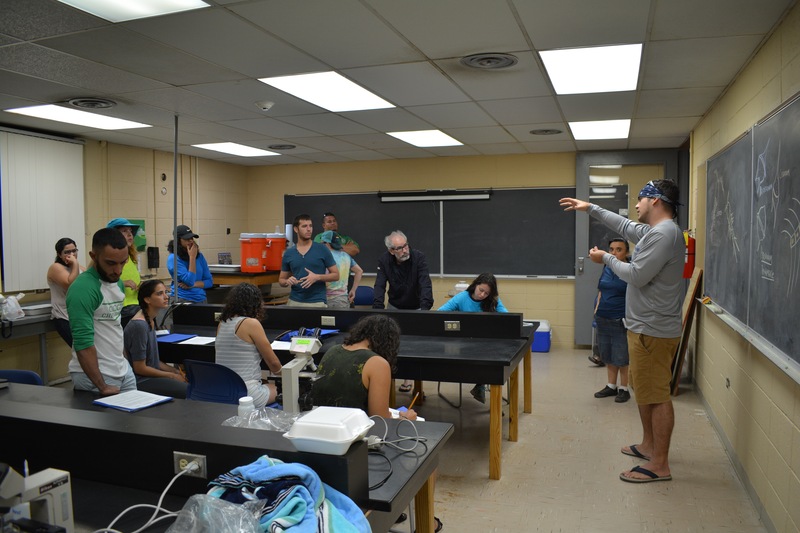 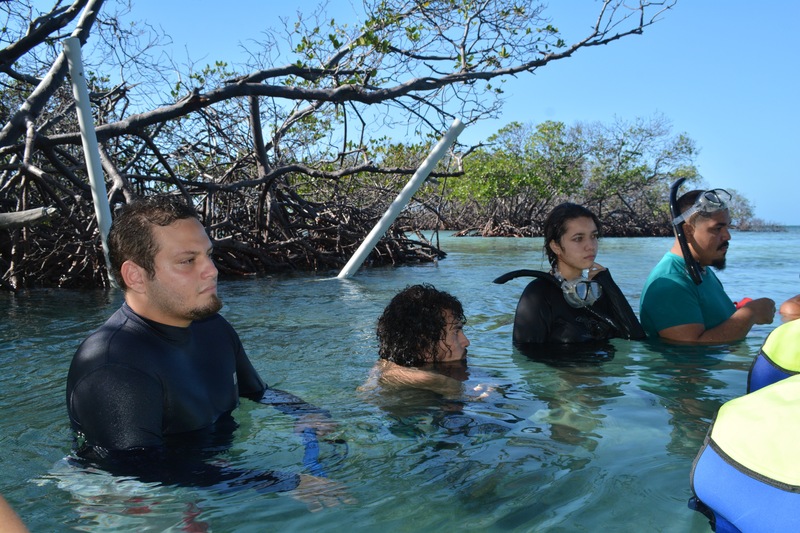 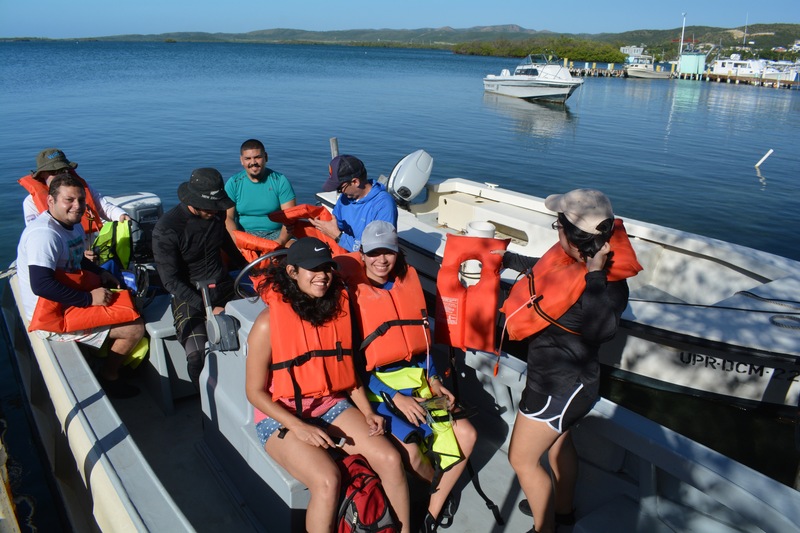 On Saturday, December 9th, 2017, the University of Puerto Rico Sea Grant Program, in conjunction with the Department of Agri-Environmental Sciences, carried out a fieldtrip to Magueyes Island. 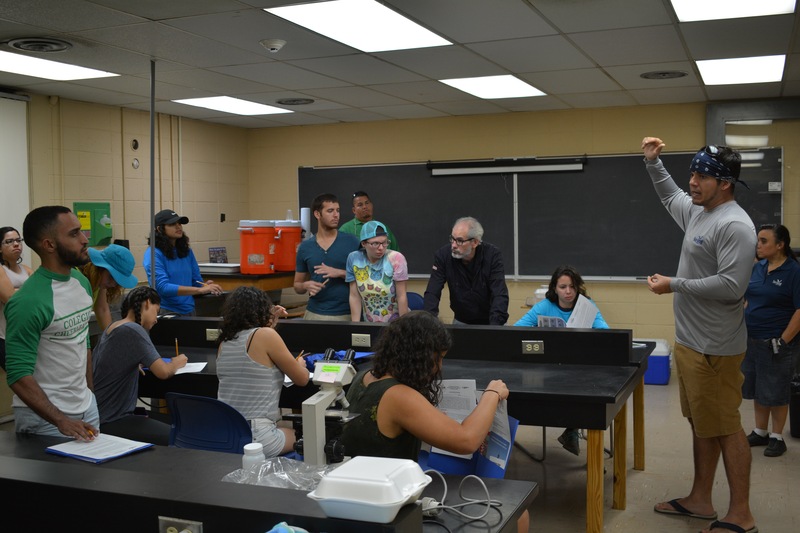 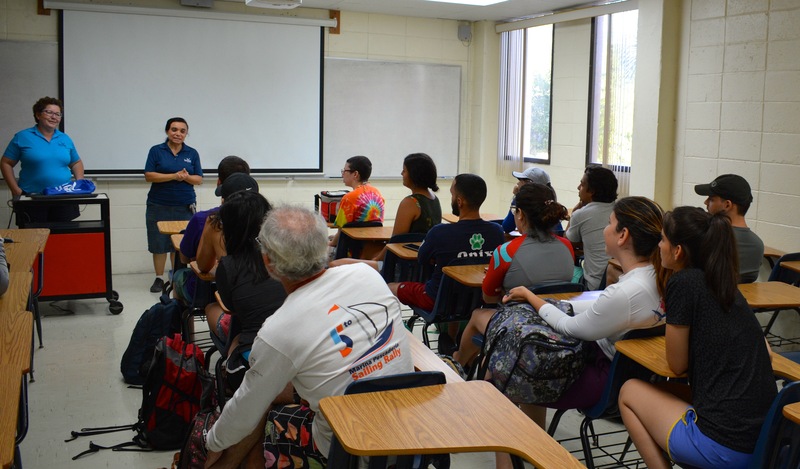 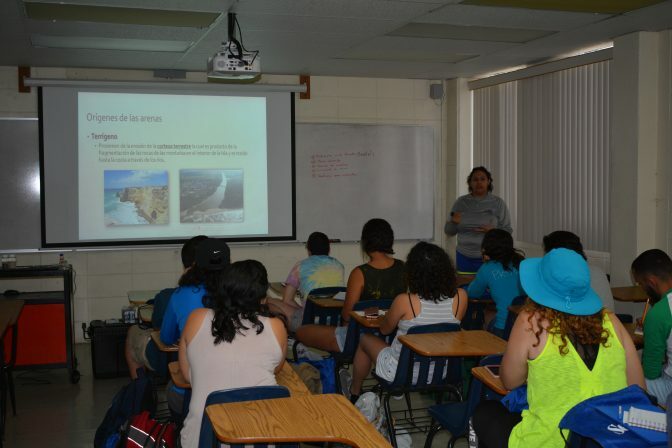 Said fieldtrip included students from the INTD 3990, Section 060 – Selected Topics with Multidisciplinary Focus: Exploring solutions to environmental pollution sources along the Lajas Valley basin, offered by Dr. David Sotomayor. 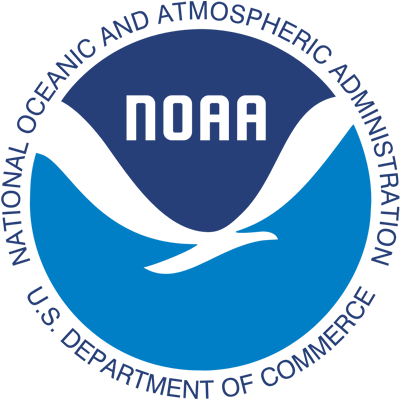 The purpose of this trip was for participants to learn about the marine and coastal ecosystems and some of the organisms associated to them. 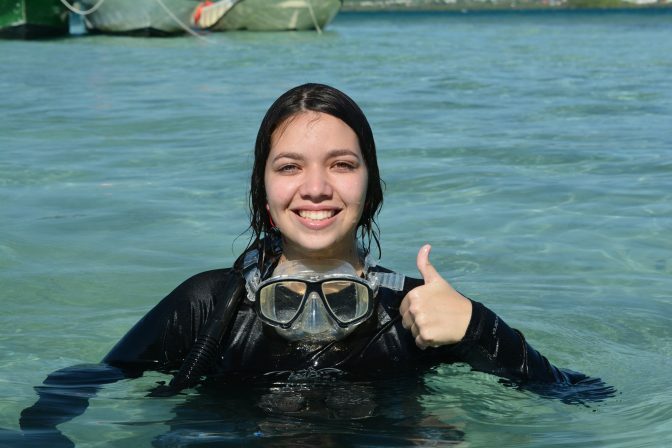 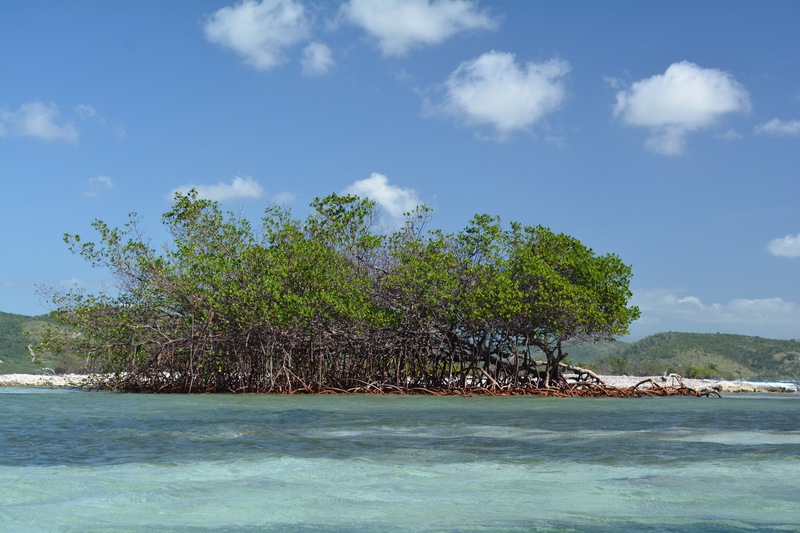 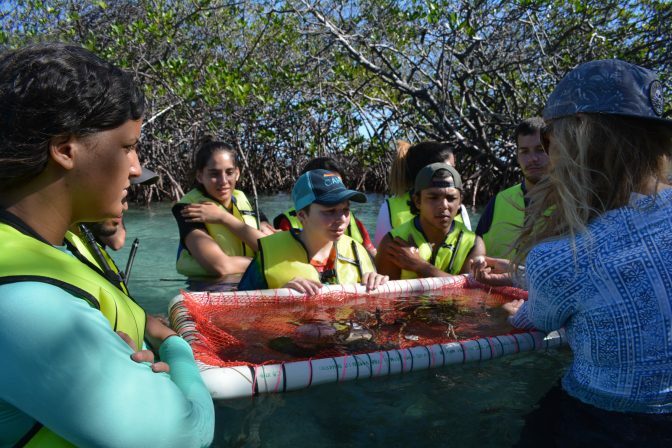 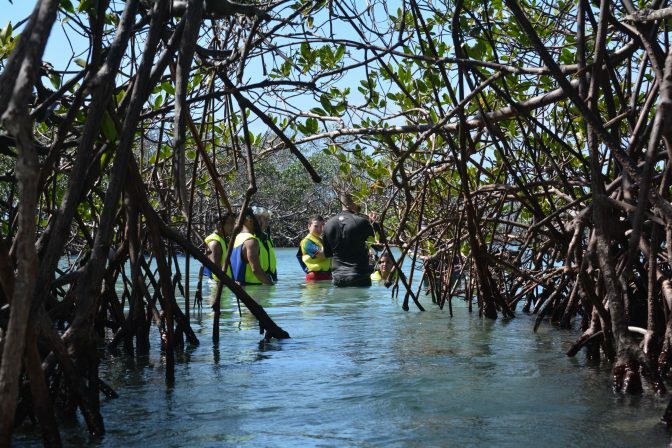 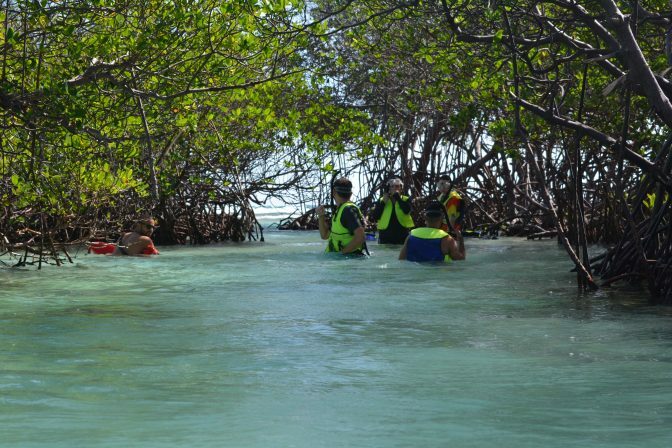 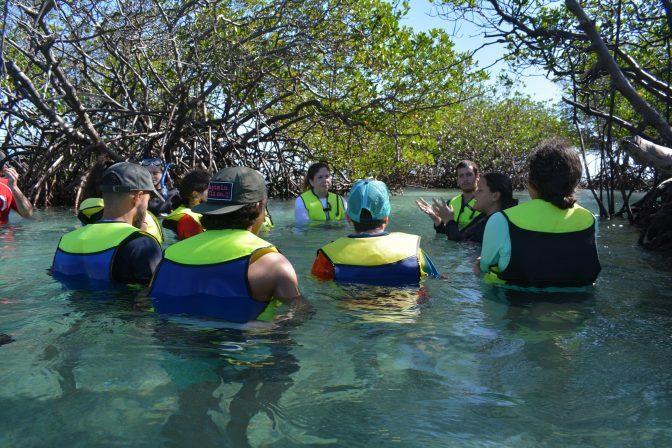 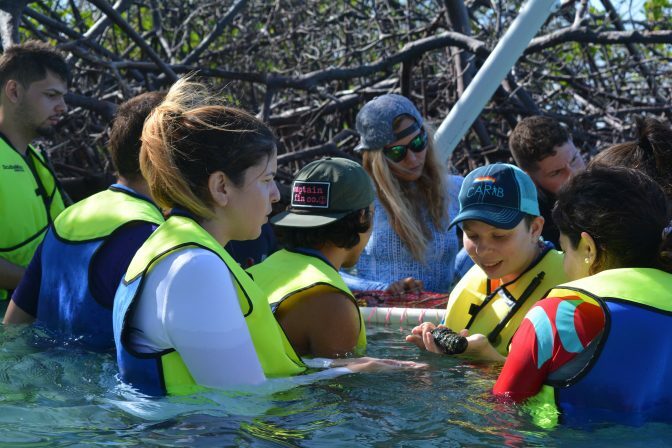 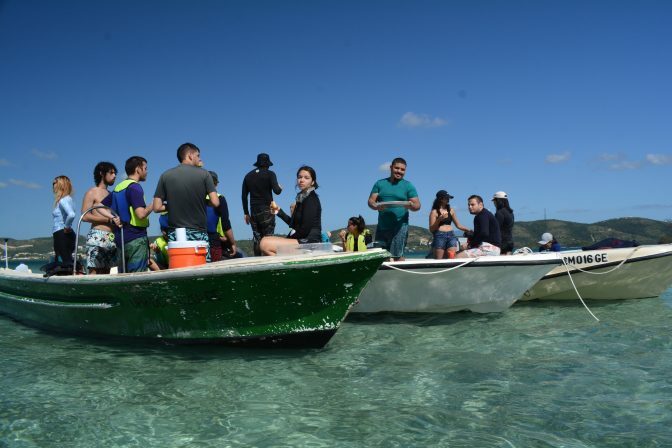 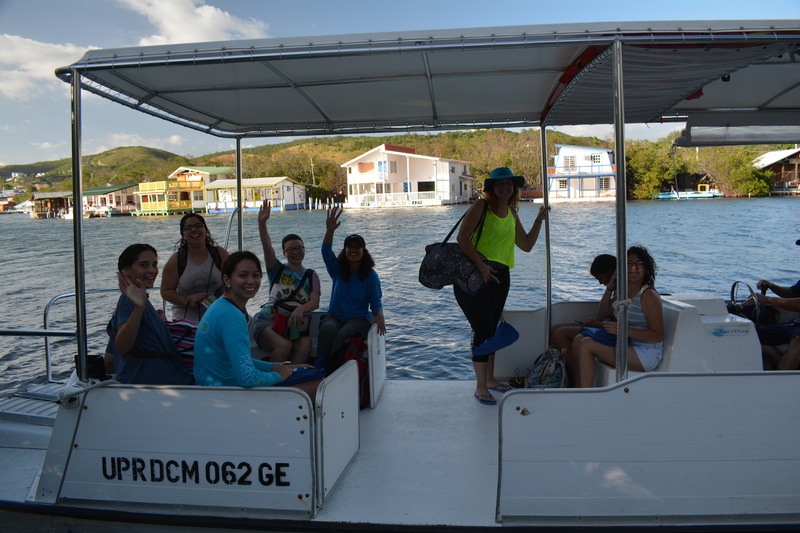 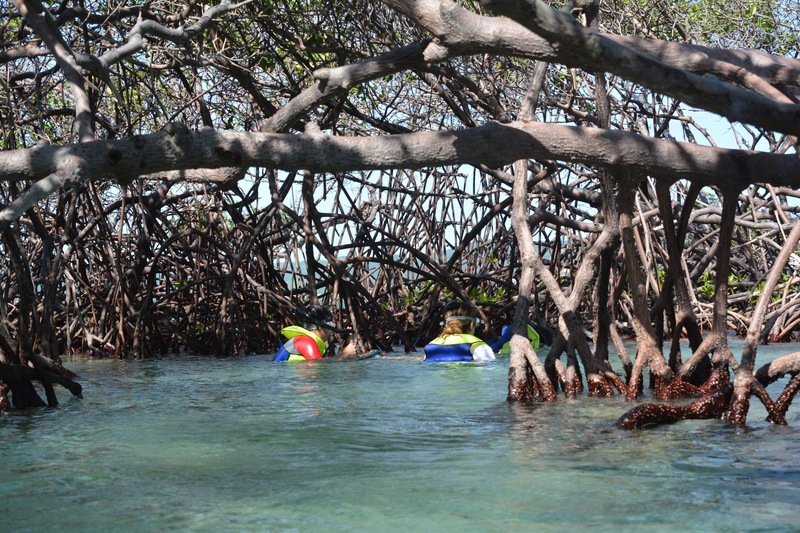 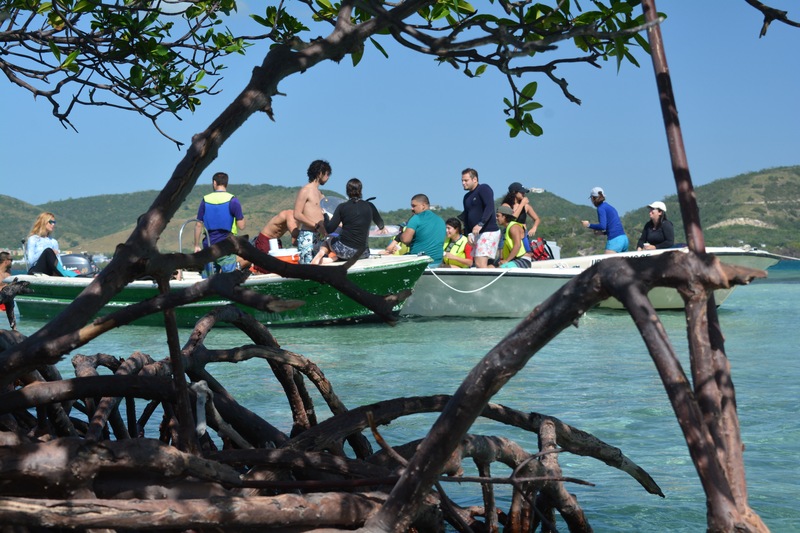 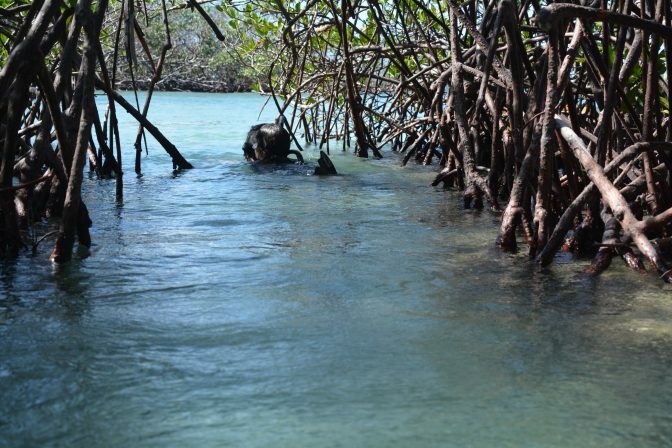 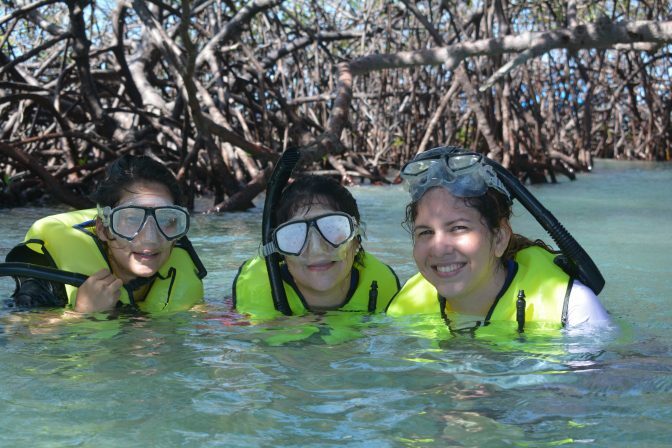 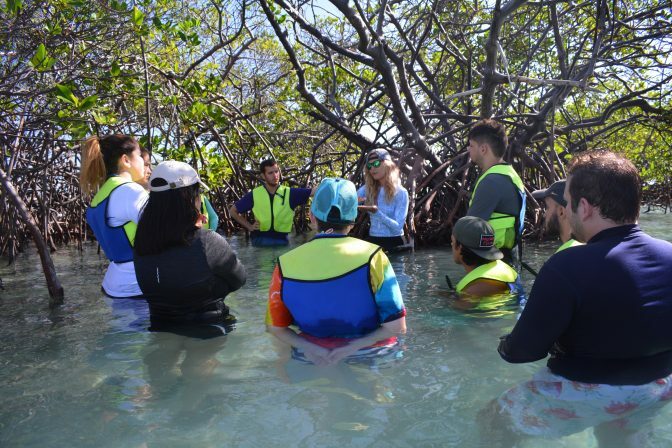 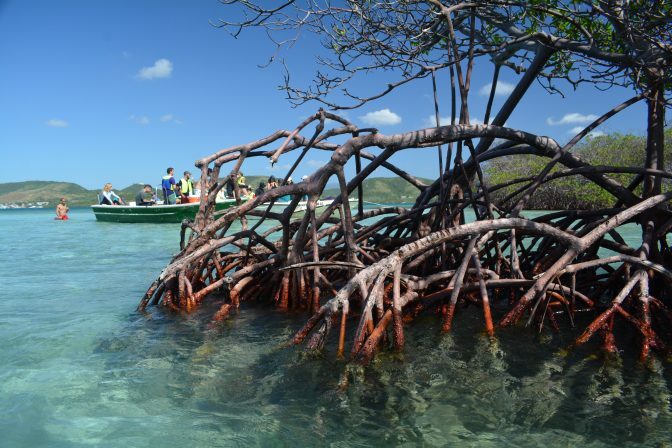 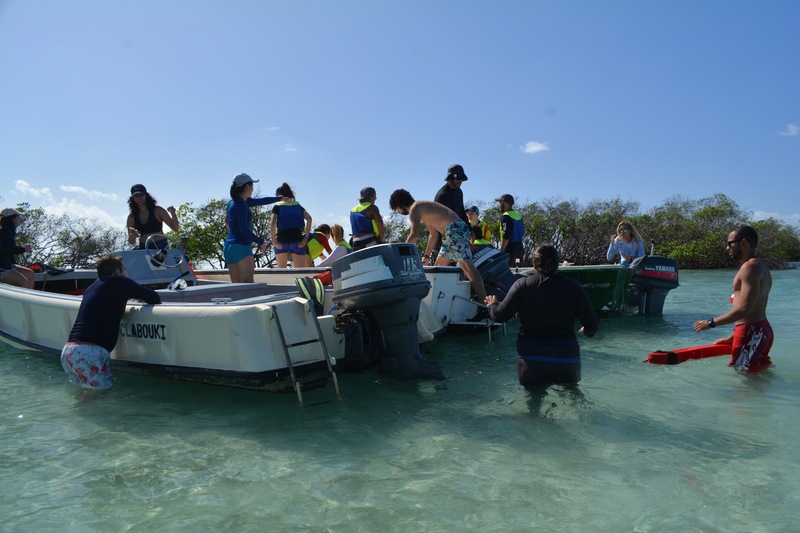 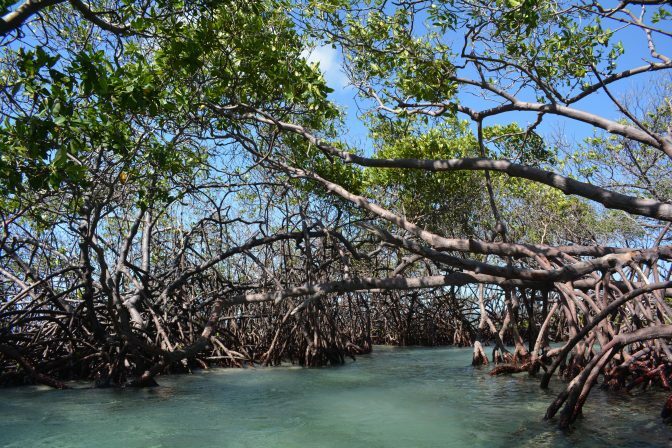 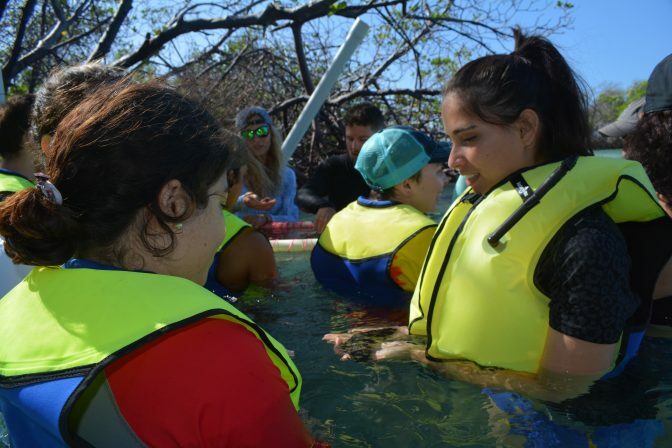 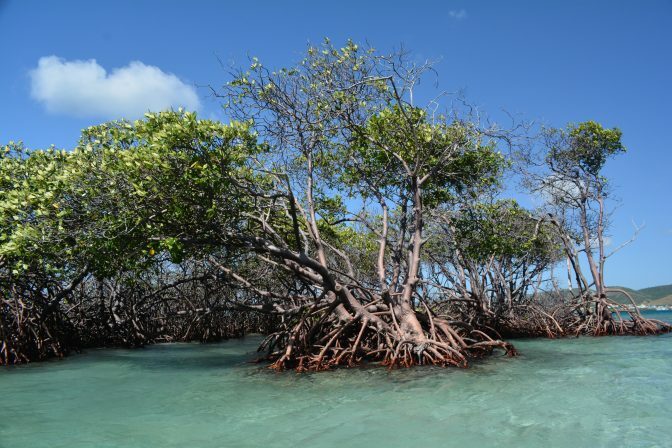 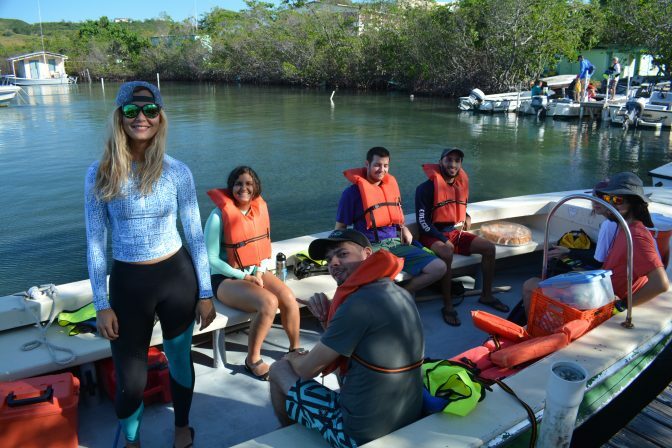 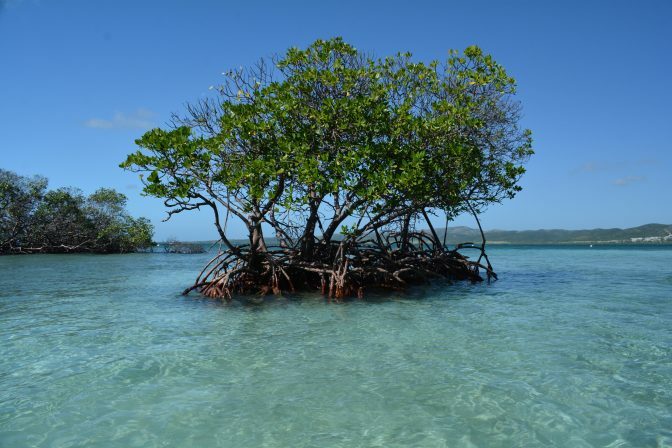 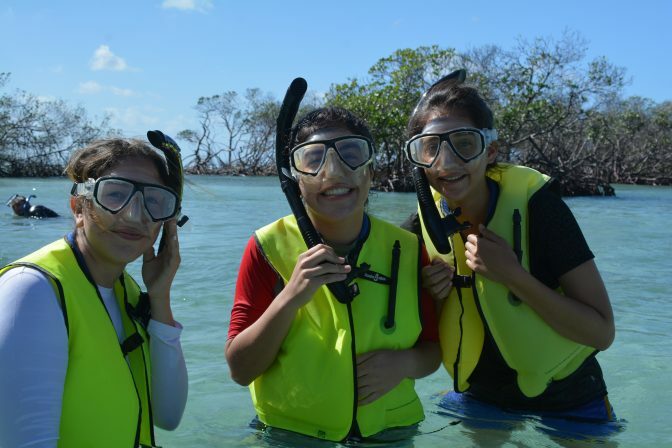 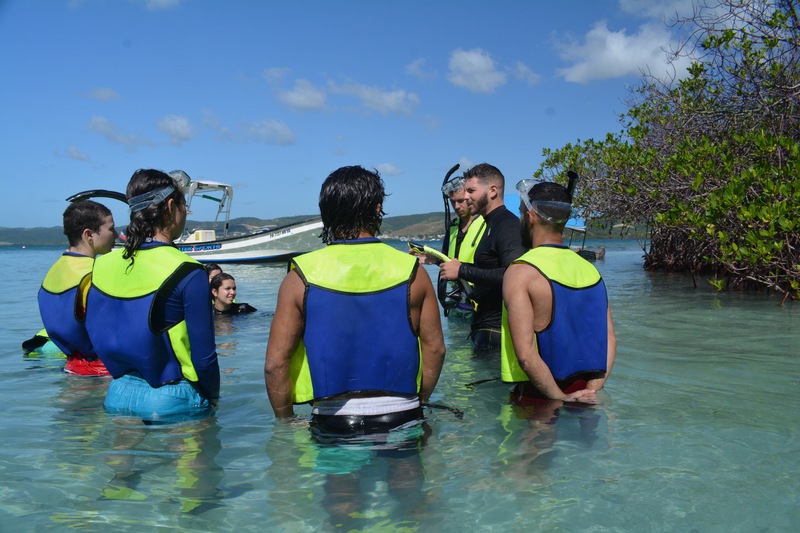 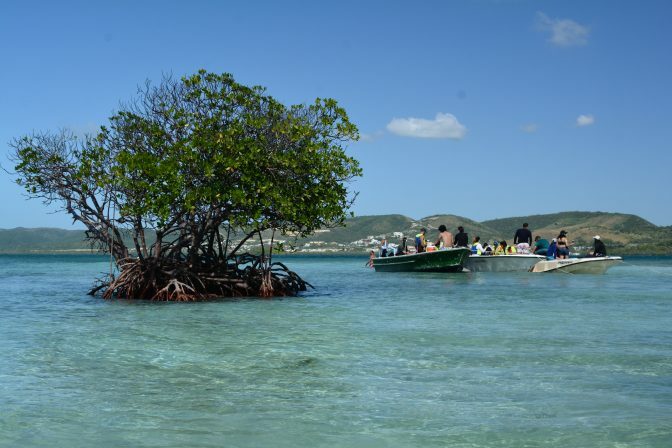 The students and their leaders participated in a boat ride around the cays in La Parguera Bay, and were able to see firsthand the mangrove forests, the seagrass beds, and the coral reefs. 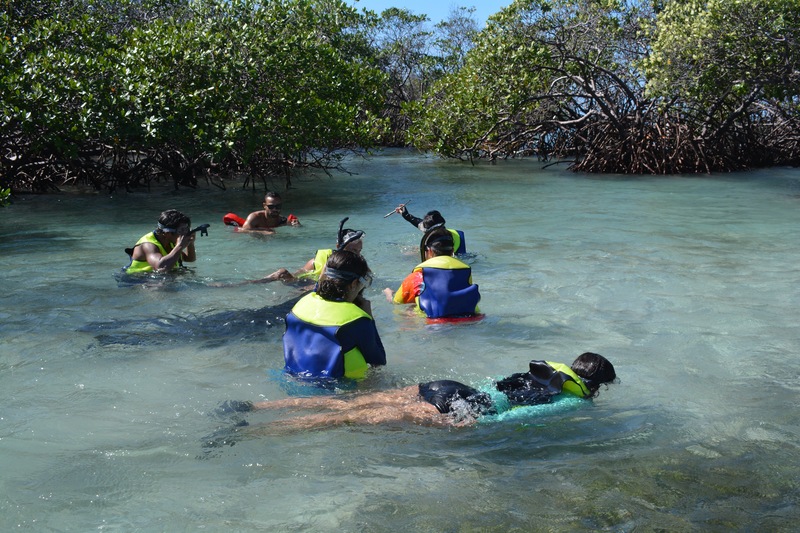 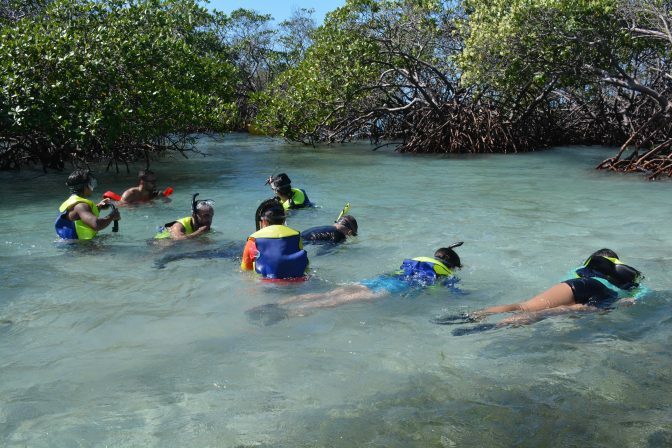 Near Cayo Enrique, the participants went snorkeling and observed many different organisms that thrive in this ecosystem. 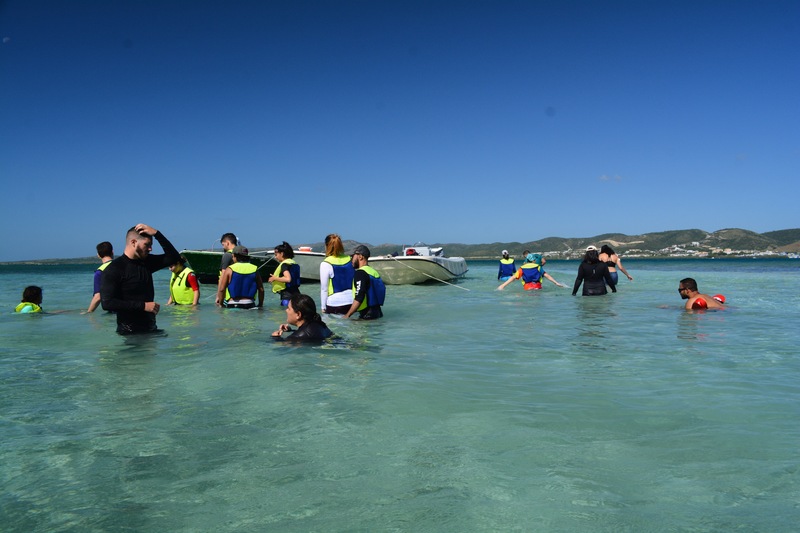 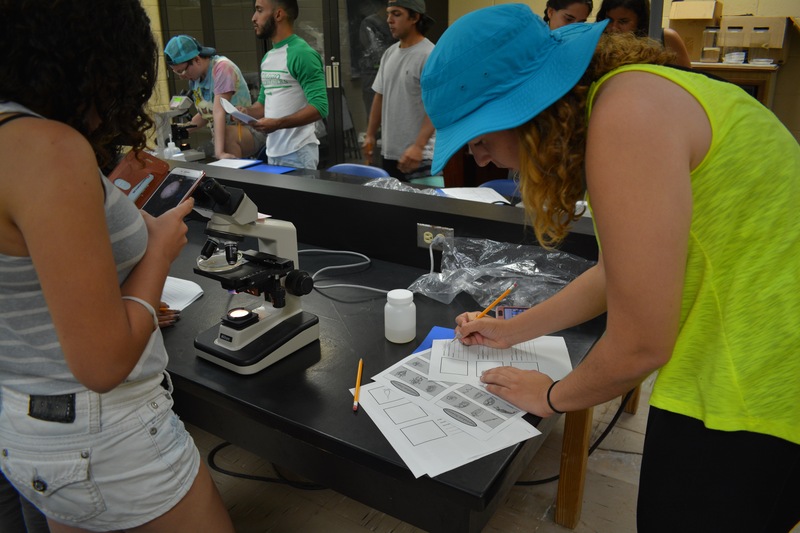 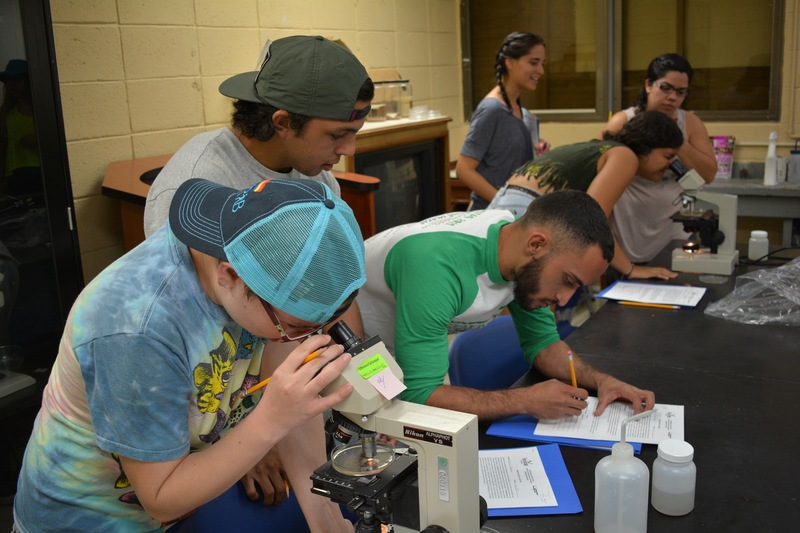 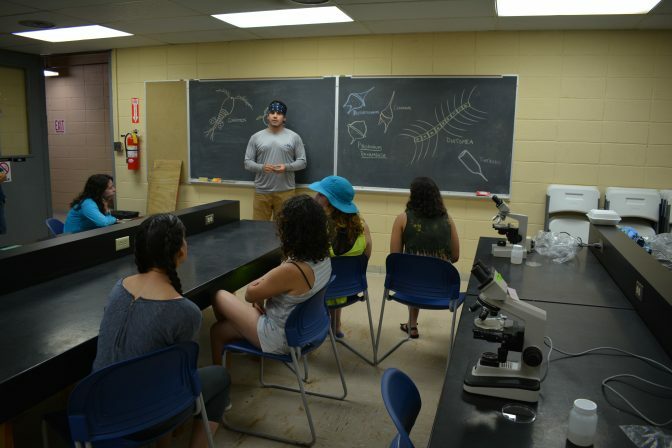 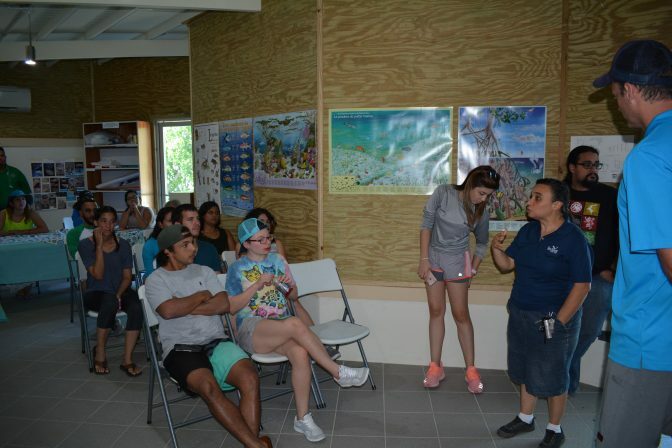 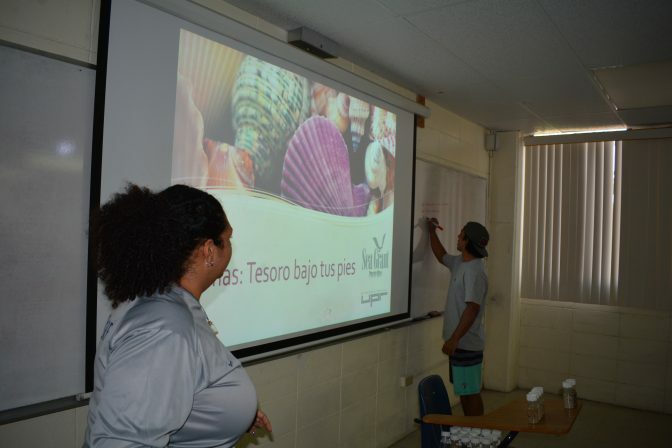 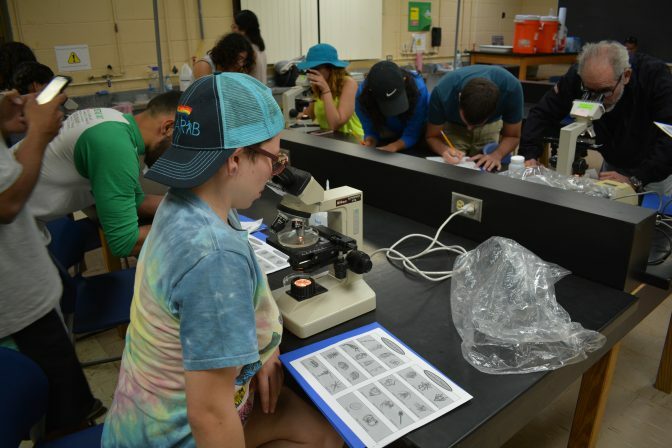 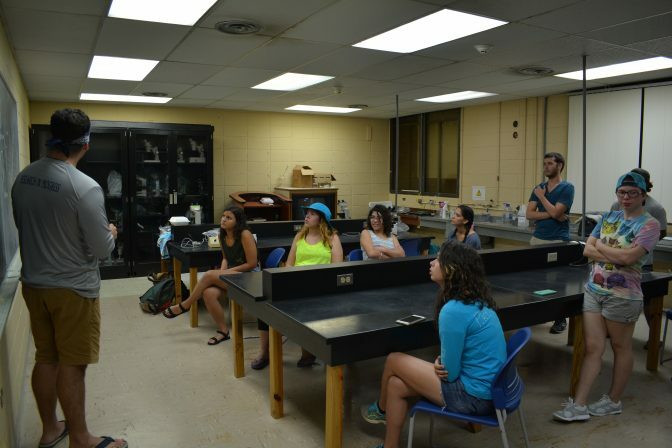 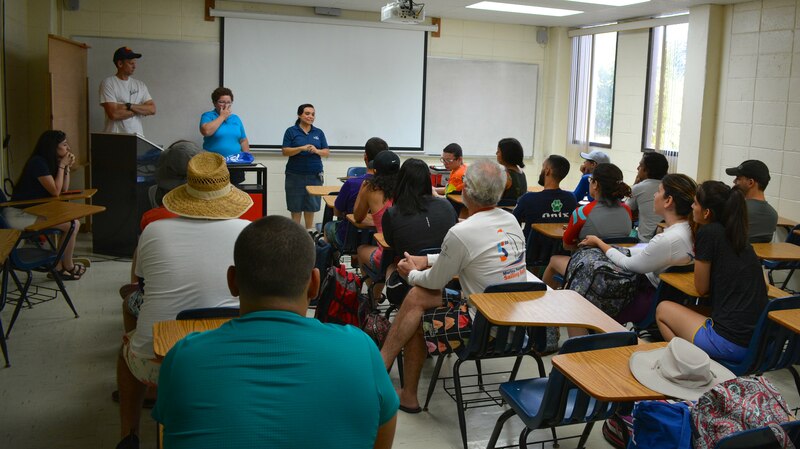 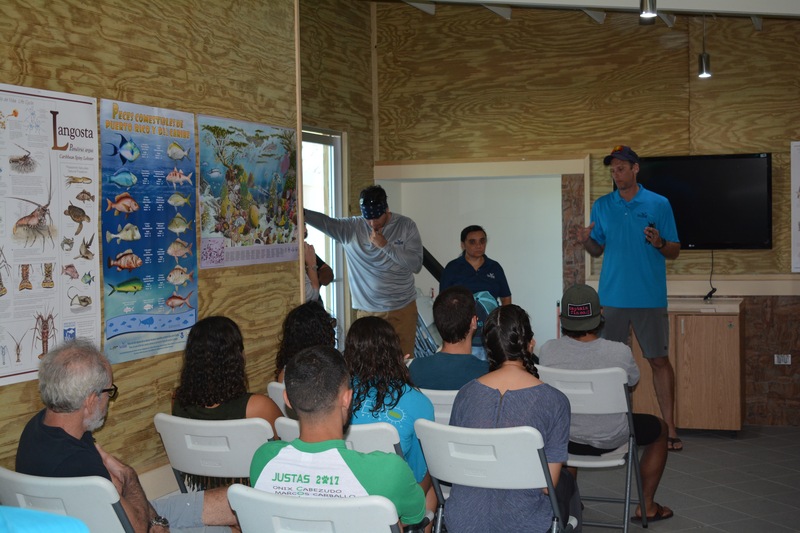 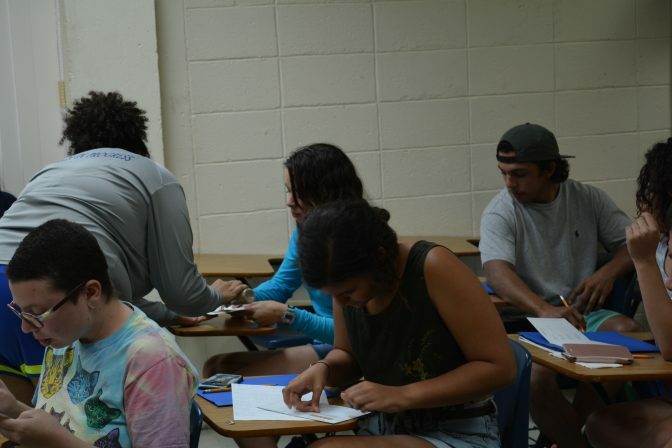 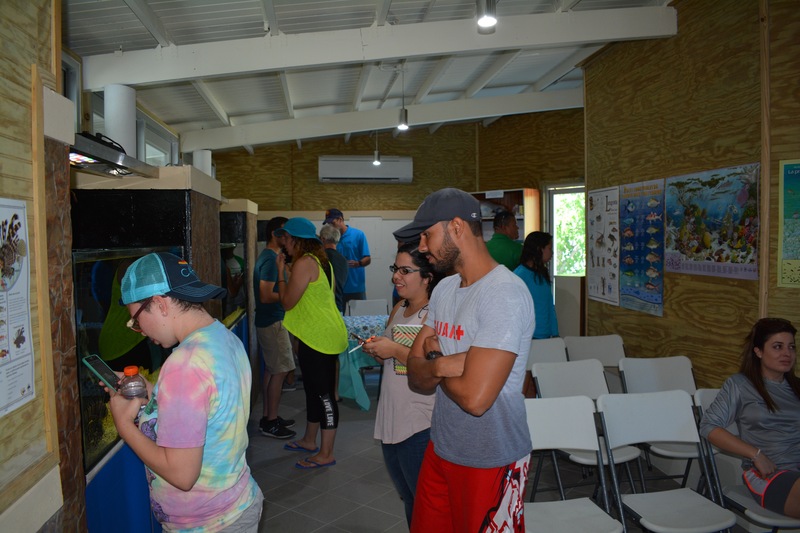 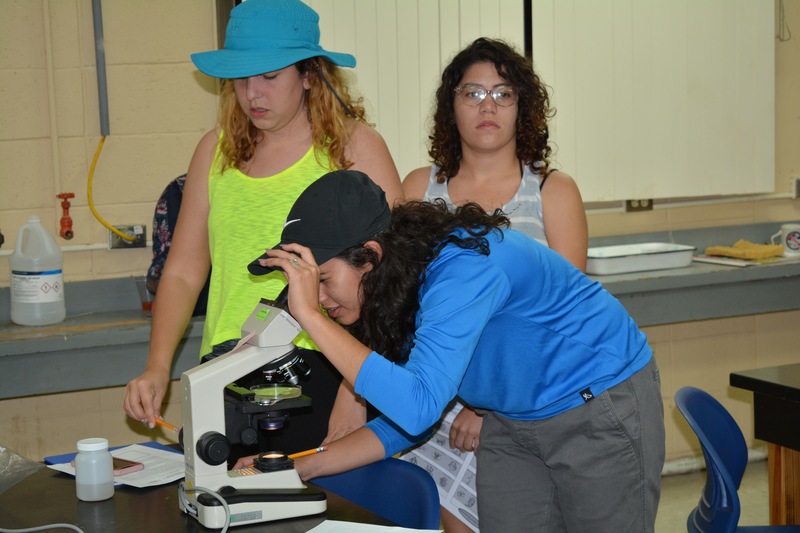 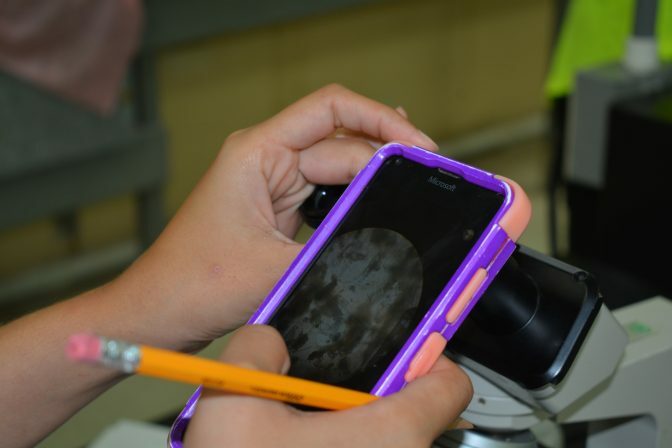 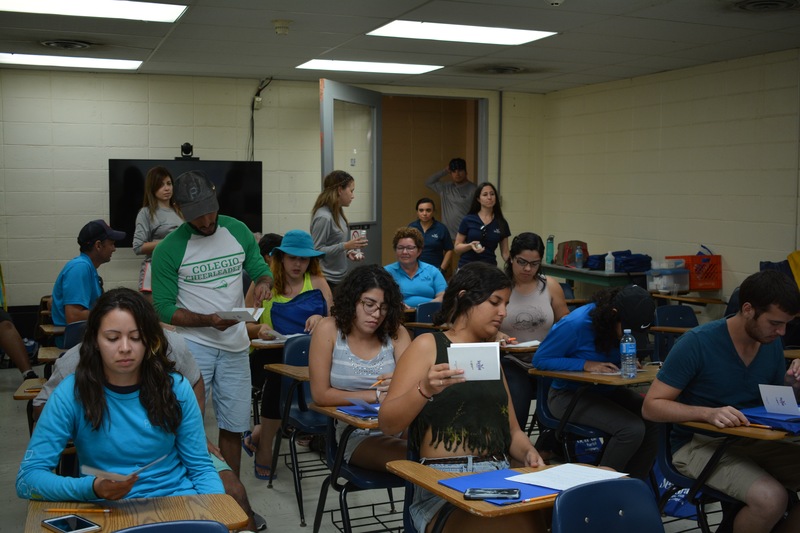 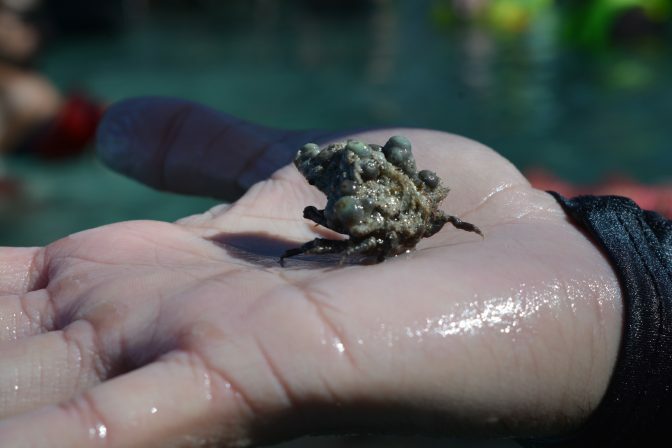 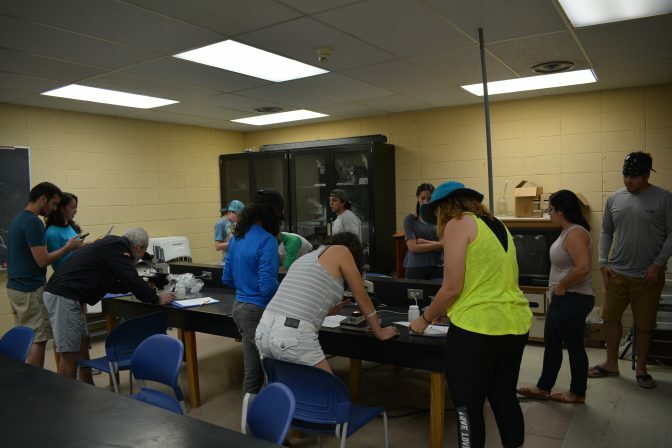 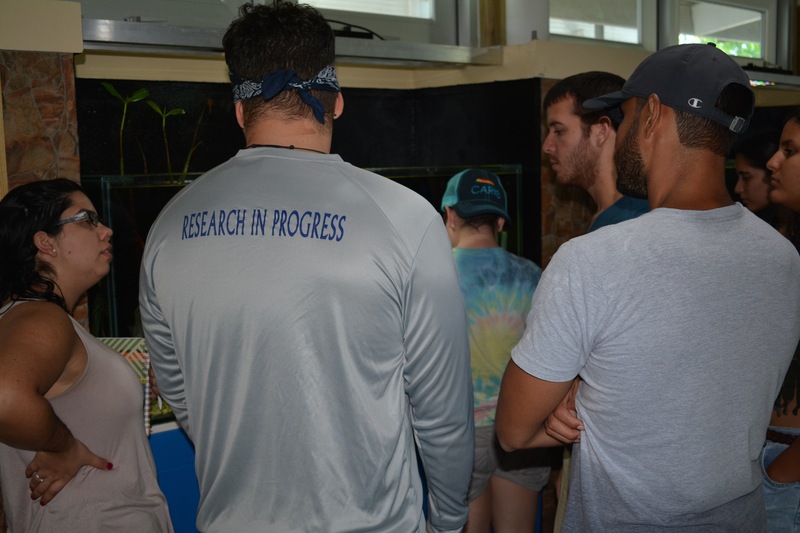 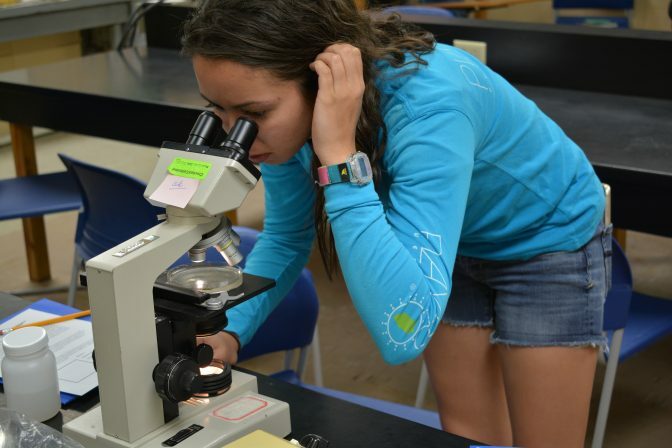 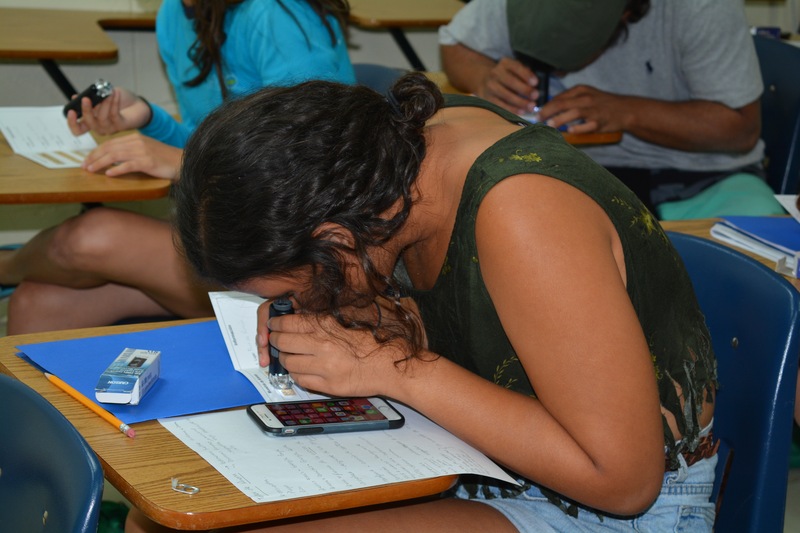 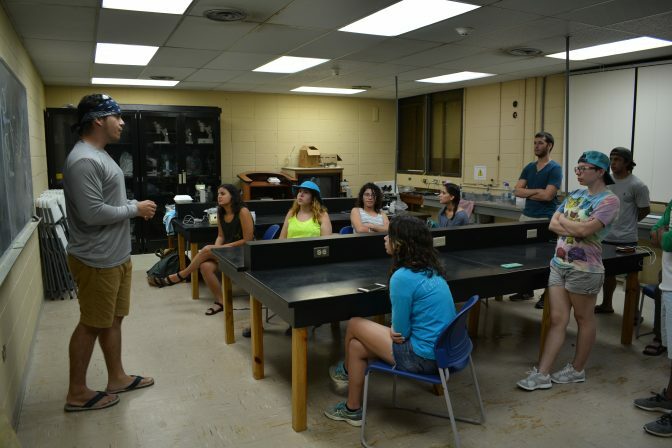 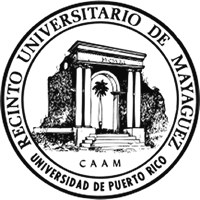 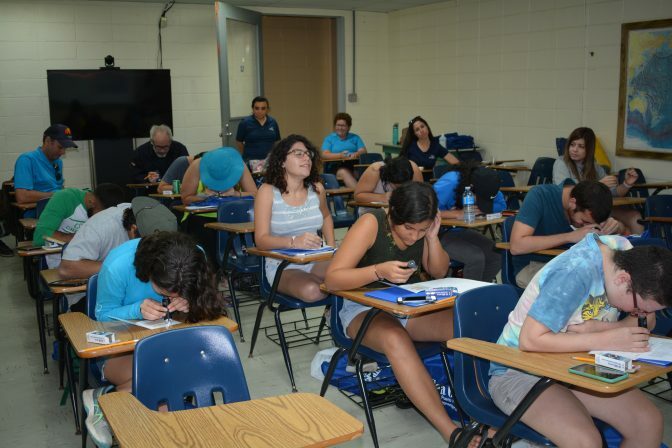 Then, upon their return to Magueyes Island, the students went to the Department of Marine Sciences Visitors Center, where they learned about the courses offered in the Department. 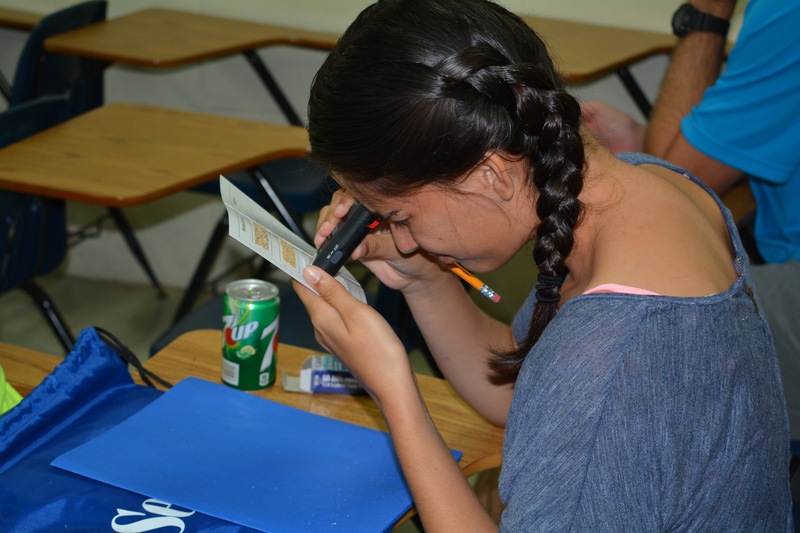 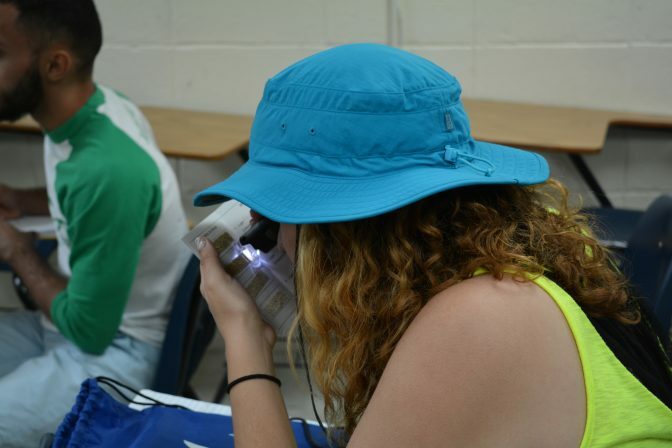 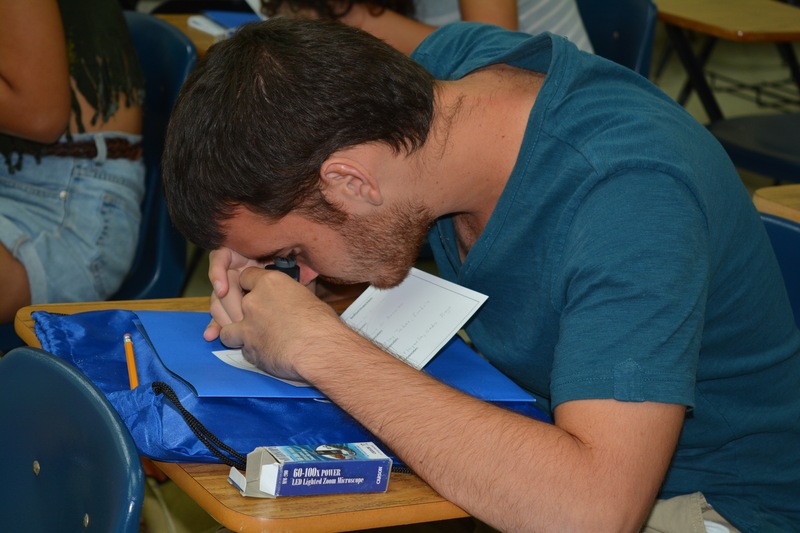 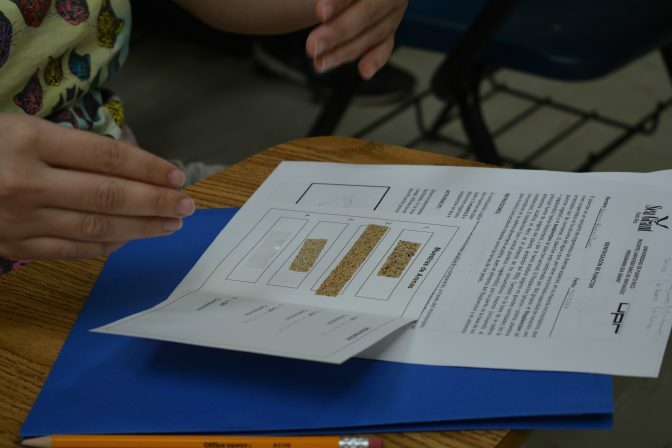 After that, they participated in a plankton laboratory activity, and received a workshop on beach composition (sands). The students enjoyed the activities and learned about these crucially-important ecosystems and the urgent need to keep them healthy for future generations.